Terumo is a well-known, internationally operating medical technology company that manufactures and sells a wide range of quality products and systems in the field of angiography, cardiology and cardiovascular systems, clinical test systems, diabetes care and patient access. Terumo has over 20 years of experience in developing and manufacturing state-of-the-art, power-driven infusion and syringe pumps. 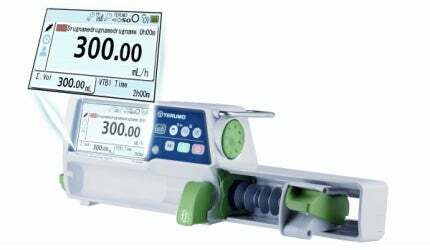 TERUFUSION advanced infusion system, the latest generation of infusion and syringe pumps, was launched in 2013. The specific design and the inherent handling of the TERUFUSION system enables the user to setup an infusion fast and efficiently while keeping a clear overview. To find out more about our products and services, please contact us using the details or form below.